During a career of over 40 years Michael specialised in serious crime for both prosecution and defence; extradition; serious fraud; criminal appeals and judicial review. Since 2015 he has focused exclusively on appellate and advisory work. Michael commenced his work on miscarriage of justice cases over 30 years ago in collaboration with the late Tom Sargent OBE, the legendary founder of the organisation Justice, and with a number of city solicitors who instructed him in death row appeals to the Privy Council. He continued with this work once the Criminal Cases Review Commission was established in 1997. Michael is often consulted on cases, where trial counsel has advised that there were no arguable grounds and has persuaded the Court of Appeal to quash convictions in a number of such cases. Over the years he has done a substantial amount of pro bono work both in English and International cases. Michael has conducted trial observations in Nigeria (Ken Saro-Wiwa and others 1995), Sierra Leone (treason trials 1998) and Sri Lanka (inquest into the massacre of 17 aid workers in 2006 – 2007). He was for many years, a member of the Executive Committee of the Bar Human Rights Committee. He is now a Trustee of the Redress Trust. He has written pro bono numerous opinions and amicus briefs in relation to cases in Malaysia, USA, India, Sierra Leone, Nigeria and Hong Kong and in (2016) a damning critique of the controversial findings by a medical tribunal against the noted neuropathologist, Dr Waney Squier. Bonnett Taylor v. The Queen  UKP 8 (Privy Council) Murder. Important evidence not called at trial. Jury irregularity. Mahil and ors v. Regina  EWCA Crim 673. Appeal by medical student convicted of GBH. Clinton v. Regina  EWCA Crim 2. Murder conviction quashed. Leading case on loss of control defence. Suleman v. Regina  EWCA Crim 2 Arson. Bad character evidence. Joof and Christie v. Regina  EWCA Crim 1475. Convictions for murder quashed because of serious non disclosure. Marsh  All ER (D) 231 (Dec). Murder of wife arranged by text message. Lebon and another v. Aqua Salt Co Ltd  1 BCLC 549. Privy Council. Civil appeal in Mauritius land dispute. Secretary of State for the Home Department v. AV (proceedings under the Prevention of Terrorism Act 2005)  All ER (D) 227 (Apr). Control order. R (on the application of Mohamed) v. Secretary of State for Foreign and Commonwealth Affairs  All ER (D) 123 (Aug). Amicus Curiae. Mackin  All ER (D) 97 (Aug). CCRC referral. Fresh evidence. Alibhai and others  All ER (D) 573 (Mar). Appeal on numerous grounds in massive counterfeiting case “The Microsoft Case”. Phillips  2 Cr.App.R. 35. Leading case on admissibility of background evidence. Nolan  All ER (D) 609. Disclosure in identification cases. AG’s Ref no 6 of 2000  All ER (D) 609. Minimum term on discretionary life sentence. Ex parte Kaur  All ER (D) 779. Estreating bail recognisances. Ex parte Mortimor and Brown  1 WLR 17. Practice and procedure on importations of dutiable goods. Williams and others v. R  2 WLR 910. Privy Council. Classification under Jamaican law of murders as capital or non capital. Ex parte Hill  3 WLR 1011. Appeared for the South African government in first post apartheid extradition from UK. Ex parte Asif  STC 611. Leading case on power of Customs to compel disclosure of banking information. Hewitt and Davis 95 Cr. App. R 19. Leading case on observation posts. Ex parte Chinoy  1 AER 317. Bank of Credit and Commerce International manager involved in money laundering. Appeared for US Government. Nigeria. “Fundamental Rights Denied”. Report of the trial of Ken Saro-Wiwa and others. “A Travesty of Law and Justice”. An analysis of the judgment in the case of Ken Saro-Wiwa and others. “Pinochet and Double Criminality”. Criminal Law Review March 2000. “Some Observations on Trial Observation” (Address to 2000 International Bar Association Conference in Amsterdam). Submissions on behalf of the English Bar on proposed amendments to the Hong Kong Crimes Ordinance relating to treason, secession, subversion sedition and official secrets. 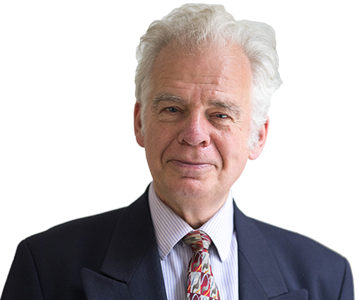 Michael frequently broadcasts on issues of criminal law and human rights on the BBC, Channel 4 News, Sky News, NBC, CBS, Fox News, the World Service and “Hard Talk” with Tim Sebastian.